it’s officially spring, and we hardly recognize ourselves now that we’ve shed our winter blah’s. here at THE TEN SPOT®, spring is 100% our fav time of year. a season for fresh, clean starts that really makes us feel like a ten®. though mother nature may not be in full bloom yet (depending on which province you call home), we’re kicking off the season by turning over a new leaf, and we’re challenging you to do the same! so, what does that mean for you? transitioning from season to season can be rough, so we rely on a facial (full or quickie!) to freshen up while keepin’ it simple. our esthetic experts can recommend the best skin care products for your lifestyle, which means you’ll start spring “feelin’ like a new human”, as our guest @consciencecoupable likes to say! ditch those acrylic nails and let us help you grow your natural nail long and strong with some classic TLC and the right polish for the job! this is a super simple and effective way to turn over a new leaf and keep your routine simple and fresh. 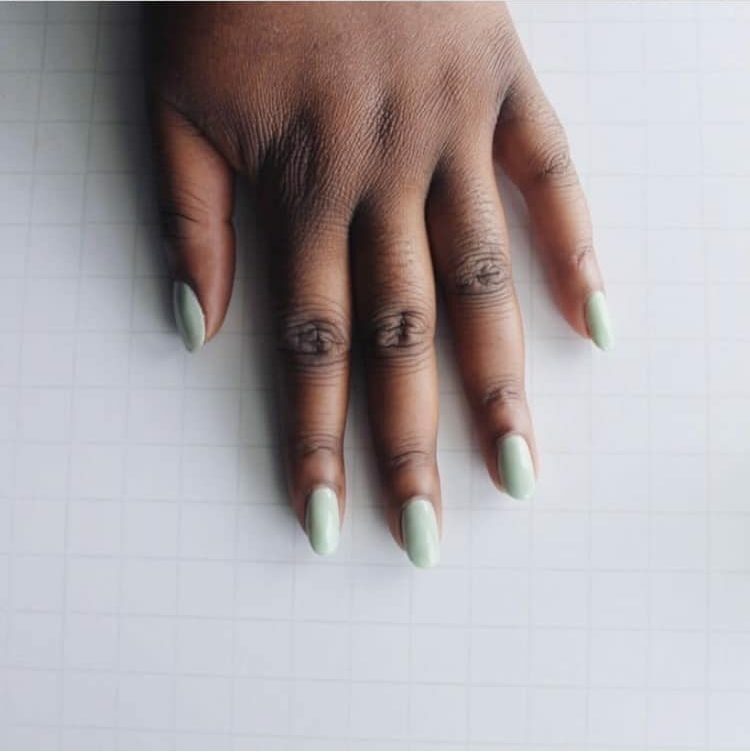 we recco a leafy green accent for your blush pink mani! we’re all super busy, so make sure you get in a little me-time, too! our guest @amyin613 slows things down after her visits to our westboro location with a little yoga. breathe in – breathe out. simple steps to making a fresh start for a fresh season! so tell us! how do you plan to turn over a new leaf this spring?